There was a time when the sound of horses’ hooves resonating through the town of Madhepura made the men, women and even the police force scramble for cover. Rifles slung across their shoulders, groups of masked men on horseback thundered through the town, looting shops, breaking into houses and violating the dignity of women. The police would arrive only after the bandits were gone, leaving behind a storm kicked up by the cavalry. As power changed hands – ending Lalu Yadav’s Jungle Raaj and starting Bihar’s tryst with “Sushashan” (good governance) under the leadership of Nitish Kumar, the bandits also underwent a change of heart. To contribute to the development of the state, these messengers of terror and death, volunteered to put their arms down and join the main stream. But what happened after that, continues to haunt and trouble the reformed bandits of Madhepura. Almost a decade later, the JD (U) government has failed to fulfill any of the promises it made to them leaving them feeling betrayed and very disappointed. 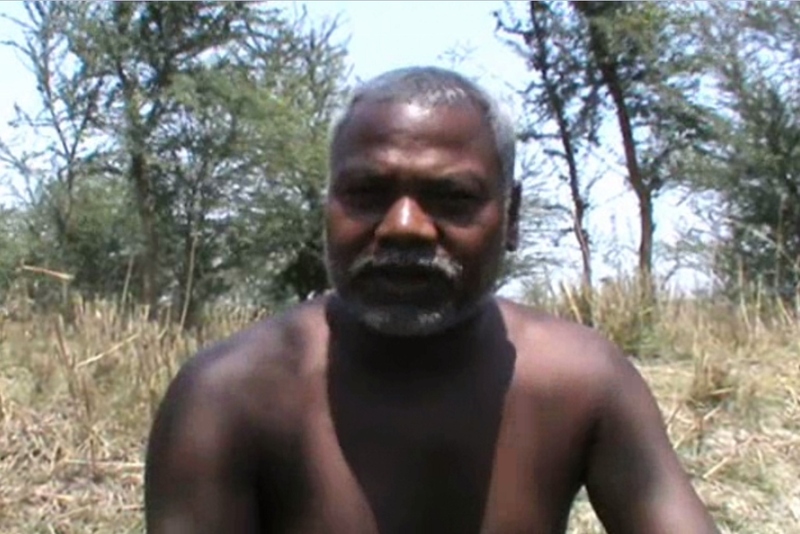 Around 60 dacoits, who surrendered in the presence of Chief Minister Nitish Kumar, in the Kumarkhand block of Tengraha village in 2005, hoping to quit the quagmire of crime and lead a normal life, are regretting their decision now. said Janardan Sardar, a reformed dacoit. All the promises of the government have proved hollow. added the frail reformed dacoit. The government had promised to give them land for cultivation, provide them houses under the Indira Awas Yojna, help them avail loans from banks, offer free education to their children. The government had also promised to withdraw all pending cases against them and open a police picket in the village. Yet, nine years on, none of the promises have been met. Though, the villagers have managed to build a school on their own, they don’t have the money to pay for the teachers’ salaries. The government has shown little interest in taking the school under its control to ensure its smooth functioning. The JD(U) government, however, has built a huge hostel for the children of the reformed bandits in village. But it does not have any occupants as the school itself is not functioning. Adding to their woes,the officer in-charge of the Bhatni police station allegedly continues to torment them for ransom every now and then. Come election time and the reformed bandits have now decided to boycott votes as a token of protest against the government’s apathy and police atrocities. The Madhepura Lok Sabha constituency, represented by JD (U) supremo Sharad Yadav, goes to poll on April 30. If the police harassment continues unabated, it is possible that the reformed men might choose to take up arms once again rather than live under constant terror and fear themselves . The government should wake up from its slumber of selective ignorance before guns start blazing in Madhepura once again.